While they do not have a nasty sting or cause any damage to property, flies are a health hazard when it comes to kitchens and food preparation areas. Our professional pest control for flies is available throughout London to deal with these unwanted kitchen visitors, whether in your restaurant, hotel, catering business, office or home. Although there are many fly species, but that out of the thousands of types, most people are bothered by the cluster fly, the common housefly, the blowfly and the bottle fly. Many types of fly carry diseases, and are thoroughly unpleasant to have in your environment, and the situation often warrants professional intervention. If you need to hire experts for effective flies pest control, we can help. Controlling flies can be a daunting task. For one thing, they can easily enter the premises from all directions, and in Summer they breed fast. 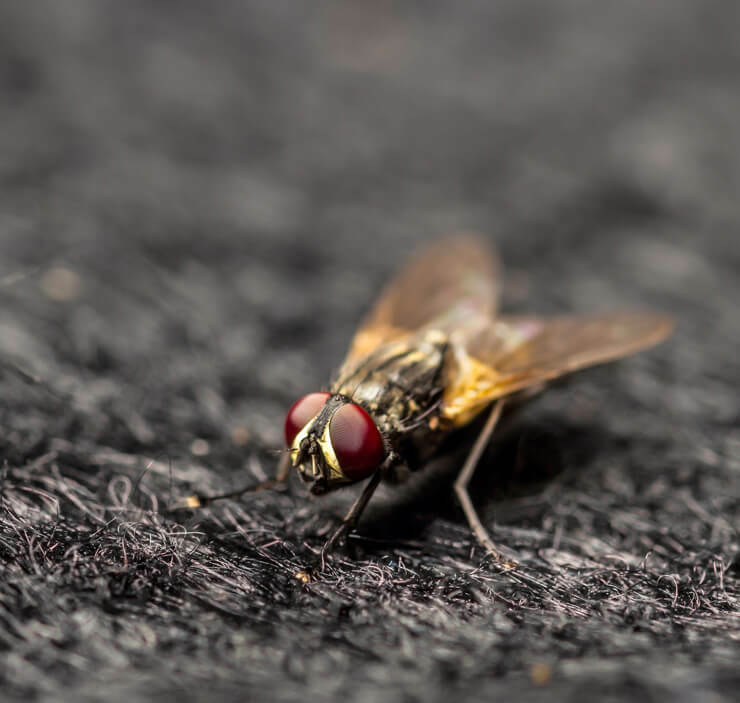 Getting the rid of these fly pests is paramount if you want to keep your home or workplace safe, and for your family and customers to feel at ease. We have a wide range of fly killers at our disposal, including the cutting edge Glueboard System, as well as the more traditional electronic fly killers. Whatever the size of the fly infestation in your home or business, you can trust us to provide the ideal solution for fly control London. This method of handling pest control flies is a silent and discreet system. It uses UV light to trap the flies, which then become caught on the sticky surface of the glueboard. It is ideal in quiet environments such as offices. The good thing is that this method gets rid of the fly problem while you are still in the office working. You do not have to leave the building. This traditional method of flies pest control has been tried and tested over many years, and it never disappoints. This method also uses UV light to trap the flies, but in this case it then electrocutes them. Our advanced technology uses a unique grid system to ensure that the flies do not explode. If you wish to discuss your requirements, email or call us, and we will be glad to provide information and advice before booking our services. Once you have made contact, we arrange for one of our team to come to your premises and assess the situation, as well as determine the ideal control measure. Our job includes intensive fly extermination treatments within a given time frame and at an affordable cost. It is not just about killing the flies in either our residential or commercial fly control services…most importantly, we teach homeowners and business clients how they can keep flies away in the future. There are many fly pests deterrent products on the market, and the more you know about them, the easier you will find it to control flies in your environment. For professional fly pest control London, we offer a safe and effective service.